The last thing that Hamas and the Palestinians want is peace with Israel. They hate Israel with a passion that was born when Ishmael was a child. They glory in death, destruction and the shedding of Jewish blood. 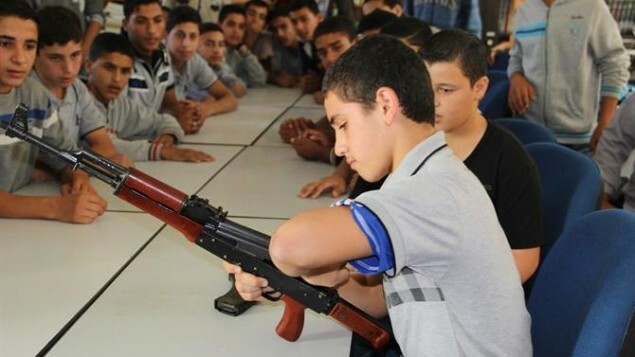 Times of Israel – The Hamas government in Gaza celebrated the graduation on Monday of paramilitary camps geared at training high-school children “to follow in the footsteps of the suicide martyrs. Hamas Prime Minister Ismail Haniyeh, Interior Minister Fathi Hammad and Education Minister Usama Mzeini attended the graduation ceremony on Monday, each delivering fiery speeches stressing the importance of military training in developing a new generation of Palestinian combatants.